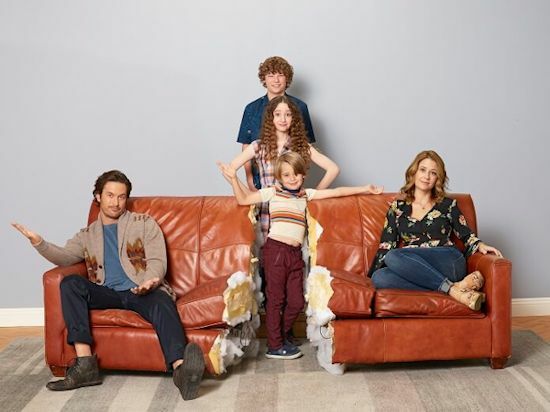 The ABC Television Network has announced midseason premiere dates for the new dramas The Crossing, Deception, For The People and the Grey's Anatomy spinoff, as well as new comedies Alex, Inc. and Splitting Up Together. Additionally, American Idol will air Sundays and Mondays, beginning March 11. Dates have also been set for the premiere of Dancing with the Stars All-Athletes Edition and the return of Quantico. The Grey's Anatomy spinoff joins the TGIT lineup with a special two-hour premiere Thursday, March 22 from 9:00-11:00 p.m. EDT, before assuming its regular timeslot Thursday, March 29 at 9:00 p.m. EDT. The final four episodes of Scandal will air at 10 p.m., Thursdays, beginning March 29. The series finale airs April 19. Elsewhere at ABC TCA, Chris Harrison hosts this highly anticipated, four-episode series, complete with the usual dose of tears, drama, romance and laughter, as The Bachelor Winter Games, a global celebration of unity and love, premieres on Tuesday, Feb. 13 from 8:00-10:01 p.m. EST, on The ABC Television Network, streaming and on demand. The series will continue on Thursday, February 15; Tuesday, February 20, and will have its finale on Thursday, February 22. All episodes will air 8:00-10:01 p.m. EST. ABC has announced that it won't be gonging its popular summer series The Gong Show and has renewed it for a second season. Celebrated film and television actor/comedian Mike Myers has finally confirmed the rumor that he is, indeed, the show's host - British comedic legend Tommy Maitland. This Goldbergs-inspired special event picks up where the Goldberg family leaves off at William Penn Academy in the 1990s as former teacher and now Head of School John Glascott leads a faculty of teachers with wildly different views on how to mentor students and recruits his tough-as-nails-sister Lucy to join his staff and enroll her teenage daughters Felicia and Gigi as new students. Lucy is desperate to ensure they avoid the social pitfalls of high school and finds herself torn between Glascott's nurturing and communicative approach to parenting and Coach Mellor's tough-guy belief that physical competition brings out the best in students. Even Beverly Goldberg comes to visit the school's staff despite all her kids having already graduated and can't help but meddle one last time, on The Goldbergs: 1990-Something, Wednesday, Jan. 24 at 8:00 p.m. EST), on The ABC Television Network, streaming and on demand. 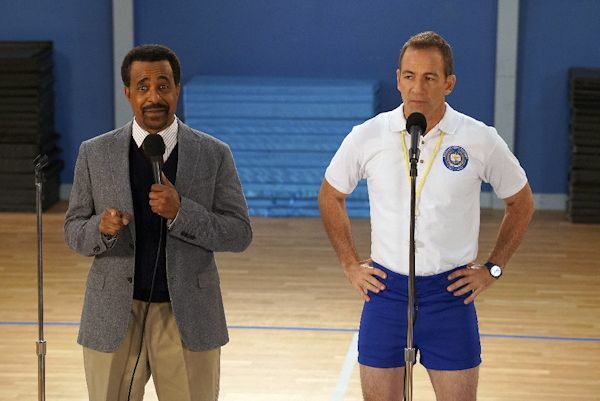 The episode stars Tim Meadows as John Glascott, Bryan Callen as Coach Rick Mellor, Nia Long as Lucy Somers, Rachel Crow as Felicia and Summer Parker as Gigi. Guest starring is Wendi McLendon-Covey as Beverly Goldberg, Ana Gasteyer as Miss Cinoman, Missi Pyle as Madame Charbenaux, Kevin Heffernan as Doc, Justin Tinucci as Meathead, William McMullen as Scrawny Kid, Stephen Tobolowsky as Principal Ball, Irene Roseen as Mrs. Cheevers, Michael Bunin as Cranky Customer, Miles Thomas Platt as Frosh Geek, Sean Marquette as Johnny Atkins and Octavia Spencer as voice-over of Felicia.